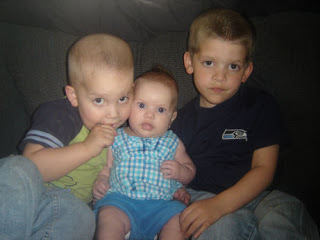 Its about time for some new pictures of the kiddos. 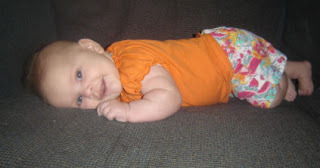 Madi has started smiling all the time now and even giggles here and there. She is also trying to turn over(not happy about that) I thought we would have at least a little while longer before she got mobile.